Who doesn’t love the appearance of a weed-free, lush green yard? Well, in order to have that, your lawn needs fertilizer in order to grow well and maintain a dark green appearance. There are three primary nutrients in most fertilizers (Nitrogen, Phosphorus, and Potassium) and many secondary nutrients (Iron, Magnesium, etc). Not only are fertilizers blended with different percentages of nutrients, but many of the nutrients are also available in varying forms, which allows them to be absorbed in different ways by the grass. You can choose from our traditional or organic lawn services. There are no contracts. If you are not satisfied with the results of an application, call 10-14 days after our products were applied for a FREE service call. Let a state certified and fully insured business work for you. 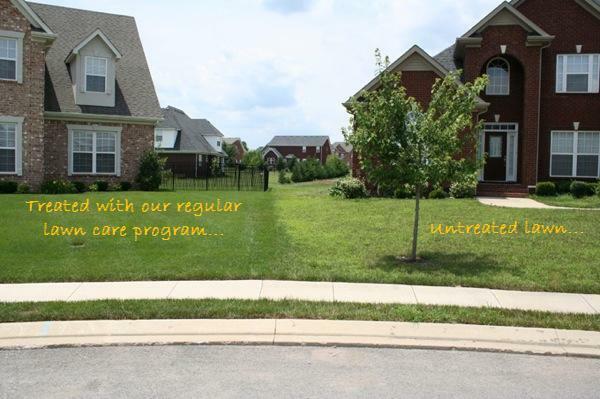 With our lawn care program, we will have your lawn looking it's best. If you are interested in this service, we offer a free lawn analysis. 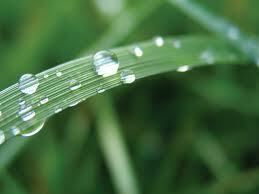 We will inspect your lawn for any problems it may have, also let you know how much it would cost for each treatment. ﻿﻿Copyright 2013 Natural Green Lawn Care. All rights reserved.